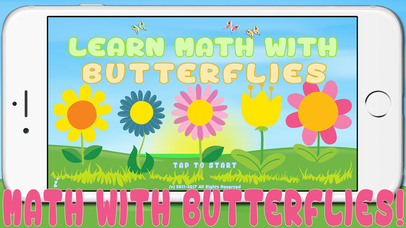 "Learn Math with Butterflies" is a great application for our kids to have a lot of fun with mathematics and at the same time to easily learn and improve their overall skills with all the four math operations: addition, subtraction, division and multiplication. With the help of beautiful butterflies our child will get a big jump on learning the basic arithmetic, while enjoying every second of that education experience. The application uses an approach that encourages learning, adding tons of fun for our kids! You'll be surprised to receive requests to do more math exercises from your child! * iOS 4 multitasking support. - App completely rewritten using Apple’s SpriteKit framework! A Maze of Spiders & Droids! Axhel - A Fun Puzzle Game! Bat Vampire - Flap or Die! Bat Vampire: Flap or Die! CrocoMath - Your Math Teacher is a cute Crocodile! i Play Math Tables. Games for Kids to Learn Math. i Play Math. Games to Learn Numbers. Kart Wars - Dodge 'em all! Kart Wars HD - Dodge 'em all! La Pasta – Italian Recipes! Match & Pop: Bubble Blast Puzzles! Match and Pop: Bubble Blast Puzzles! Math Music - Play Xylophone & Count! Poshi Toki - It's Christmas! Poshi Toki HD: It's Christmas! Rotate 2 Learn: Christmas Edition Puzzles! Wall Street Wars: the Final Conflict!